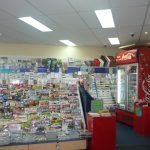 This Newsagency and Post operates seven days a week but has no paper deliveries. 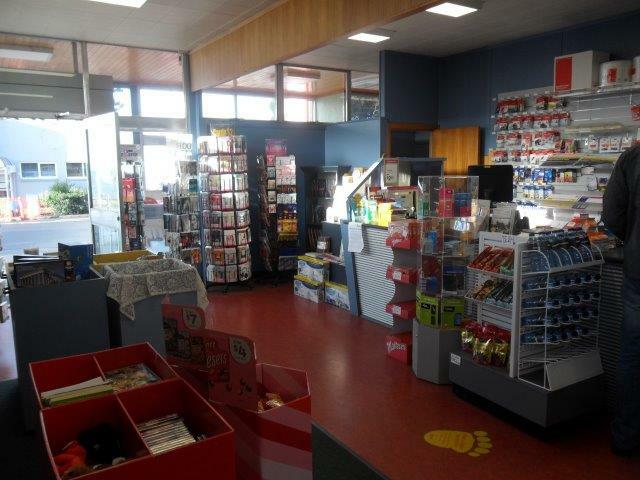 The Licensed Post Office is equipped with a three terminal Australia Post counter with full EPOS technology. The shop is large with plenty of room to introduce many other products, as well as vehicle access. This News and Post is well positioned on the fringe of Launceston’s CBD and has easy access from the busiest intersection in Launceston. In addition to the passing traffic, the shop enjoys a high volume of pedestrians given its location in the shopping complex – which includes a food hall, Subway, and petrol station. The current owners have only focused mainly on the domestic postal market, but there is an untapped potential in the business sector. With enthusiastic new owners, the business has the capability to expand into this market, especially due to its location, its vehicle access to the property, and its extended operating hours. 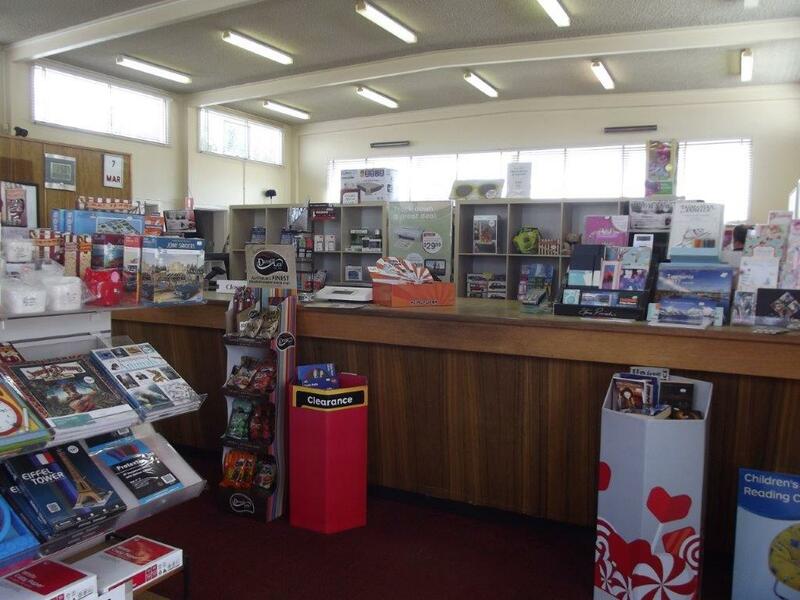 This Post Office & Newsagency is ideal for a couple, partnership or family business. Two people can comfortably run this Post Office together with 1 full time staff member and casual staff. The present owners believe that an enthusiastic family coming into the business could take this business to a much higher level of income, especially as it is Launceston’s only after hours postal service. The benefits from this service have proved considerable to the current owners and the business continues to thrive from being recognised for offering these hours. There is a large solid customer base and a very stable clientele, including account customers with no “bad debt” problems. This News and Post has a reputation for its high level of customer service with the business enjoying customers that travel from outer suburbs of Launceston in recognition of this. An inspection of this business is very highly recommended. 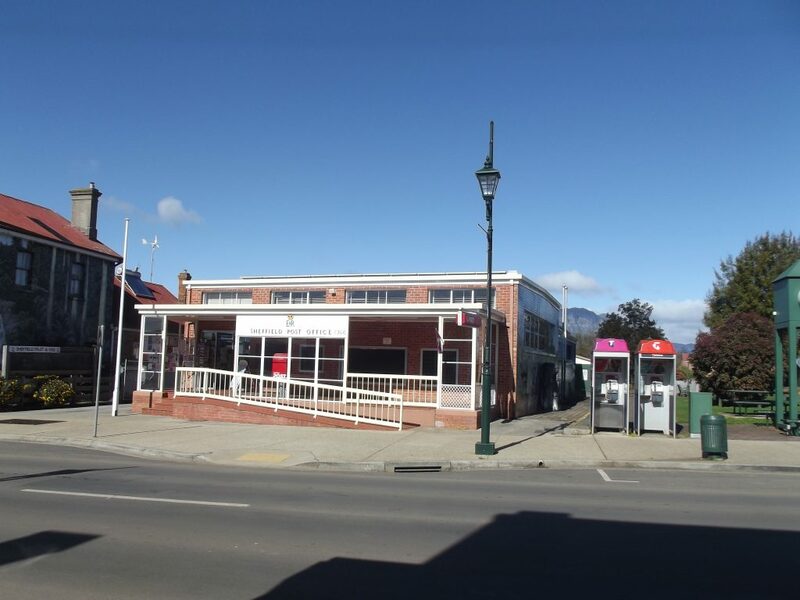 Geeveston – 62 km South West of Hobart Tasmania – rare opportunity to acquire this unique business and property. The Shop: Is very spacious, bright and clean, with one good size counter. A Security System is fitted and a Disability Access Ramp was installed in 2011.The Post Office is a very secure, monopoly type business and the working conditions are pleasant. 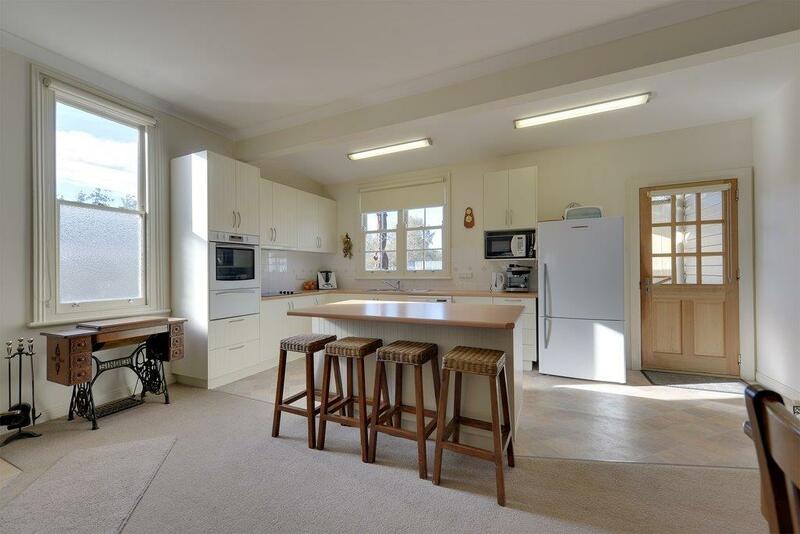 The property: includes a fully renovated residence with 3 bedrooms and a study. Rental income is also derived from an adjoining shop. Plant and equipment included in the sale are CCTV-Alarm System, Electronic Scales, Heat Pump, Photocopier, Fax Machine, Desks, Mail Sorting Equipment, Shelving and Window & Door Blinds. The Business: Open Monday to Friday 9:00am to 5:00pm and is equipped with one good size counter containing one Epos machine, one bar scanner and one label printer. 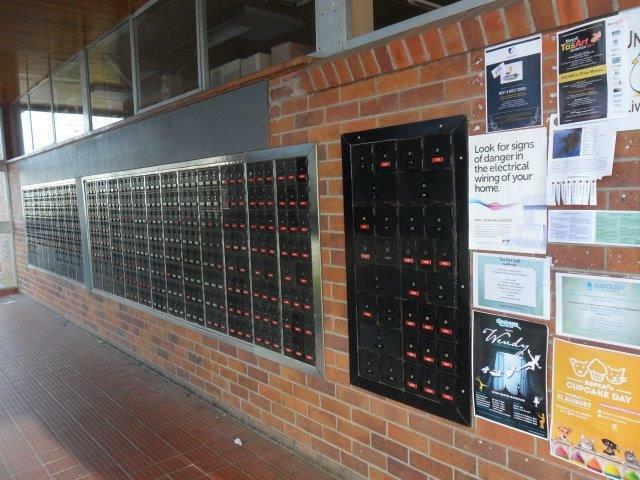 Currently there are 414 private post boxes installed with no vacancy and a waiting list. There is ample room to install additional private boxes. The post office can be opened Saturday mornings which would increase income significantly. The Post Office also houses one Mail Contractor. Product lines sold at the Post Office include homewares. 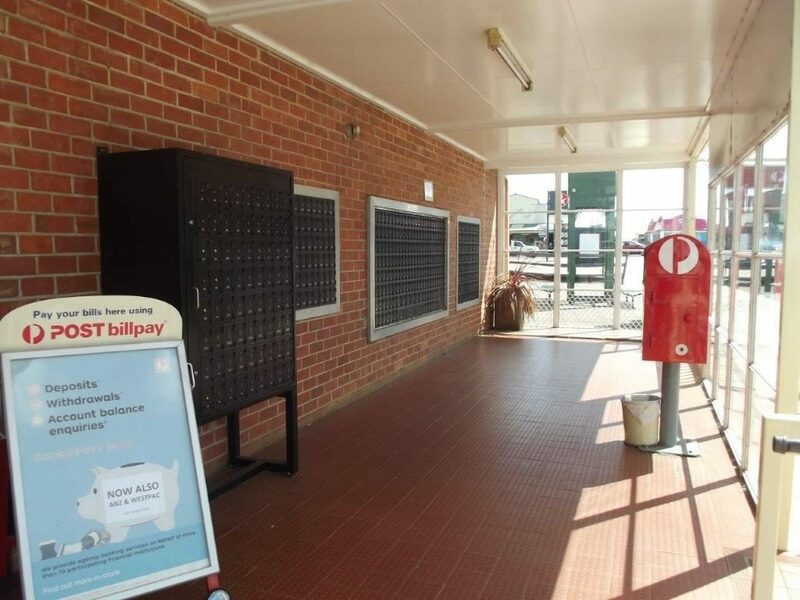 Services Provided: This Licensed Post Office provides all normal Australia Post Services except for passports. The Location & Supporting Benefits: Geeveston is a small Australian town in the south of Tasmania on the Huon River, 62 km south west of Hobart, making it Australia’s most southerly administrative centre. 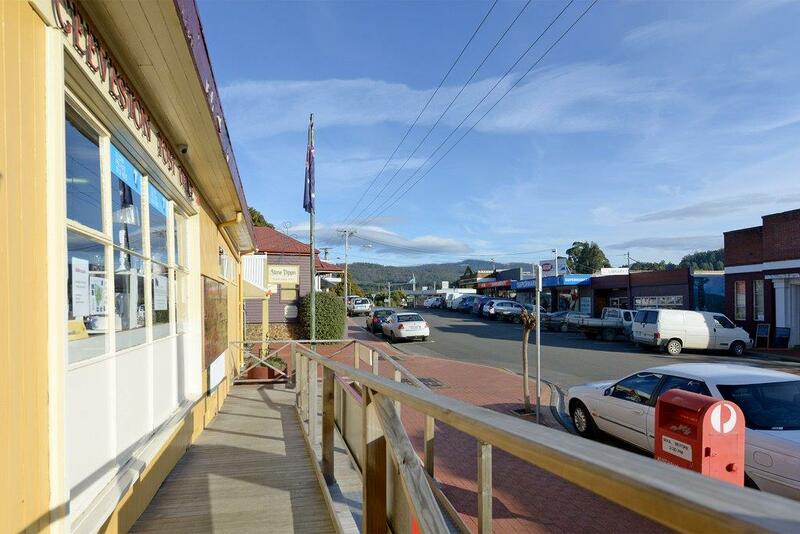 Geeveston is on the Huon Highway and is the gateway to the Hartz Mountains National Park. It is the centre of Tasmania’s apple and fruit-growing industry as well as forestry and aquaculture industries. The population of the area is approximately 1,430. Geeveston is a popular tourist destination with 80,000 visitors annually to the region to visit the Tahune Air Walk and the Hartz Mountains National Park. Geeveston has a Bowls Club, Football Club, RSL, Yacht Clubs, Indoor Sports Centre, Library, Community Centre, Town Hall and a Heritage Park. Shops and businesses in the area include a Doctors Surgery, Chemist, IGA, Hardware, Bendigo Bank, Police Station, Childcare Centre, BP Service Station, Takeaway, Bakery, Café, ATM, Visitors Centre and Bed & Breakfast Accommodation. West Tamar Highway, 42 kilometres NW of Launceston. The Shop: The shop is very spacious, bright and clean, with one good size counter. 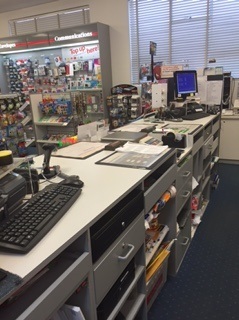 The shop is equipped with two Australia Post Epos machines. 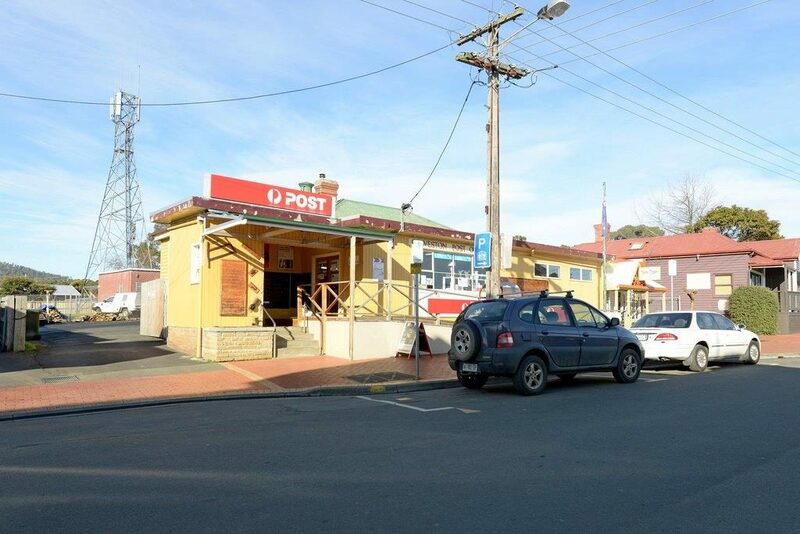 The Post Office was previously owned by Australia Post and has been in the same location for many years. The property: Specifically designed and built to Australia Post requirements. 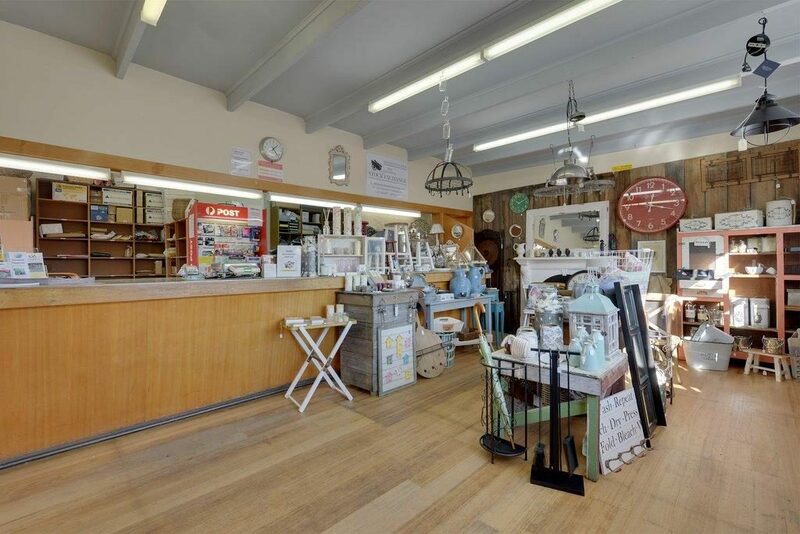 The Business: Open Monday to Friday 9:00am to 5:00pm and is equipped with one good size counter containing two Epos machines, two bar scanners and two label printers. Currently there are 239 private post boxes installed with no vacancy and a waiting list. There is ample room to install additional private boxes. The Post Office can be opened Saturday mornings which would increase income significantly. Services Provided: This Licensed Post Office provides all normal Australia Post services including Passports, renewal of passports, Working with Children, 100 (one) point ID–check, photos, Western Union money transfer, etc. The income is very consistent and increasing annually. The Location & Supporting Benefits: Beaconsfield is a small gold-mining town in the heart of the Tamar Valley Wine Region with a past tinged with stories of gold, wealth and survival. Located on the western bank of the Tamar River, Beaconsfield was once Tasmania’s richest gold town with a mining heritage that continues today. Beaconsfield is situated on the West Tamar Highway, 42 kilometres NW of Launceston, and 239 kilometres N of Hobart. At the 2011 census Beaconsfield had a population of 1,199. Beaconsfield has some architectural gems, including the beautiful timber Holy Trinity Church. Nearby, nature abounds at the Holwell Gorge reserve, 10km south of Beaconsfield, with tall trees, waterfalls and a scenic walking track. Shops and small businesses in the area include: 2 IGA Supermarkets, Newsagent, Butcher Shop, Hardware Shop, Chemist, Online Centre, Doctors Surgery, Library, Bakery, Bank, Service Station, Hairdresser, School, Garden Nursery, Hotel, Heritage Accommodation, Chinese Takeaway, Pizzeria, Café, Veterinary Surgery, 2 Old Wares Shops, 4 Churches, Tyre & Automotive, Museum, Accountant, Real Estate, Service Tas, Retirement Village, Child Health Clinic, Private Bus Company servicing the Tamar Valley, Taxi Service, Funeral Home. Sheffield is a town 23 km inland from Devonport on the north-west coast of Tasmania. The Shop: The shop is very spacious, bright and clean, with one good size counter. Solar Panels 5KW have recently been installed to save on electricity costs. There is a Security System fitted and Wheelchair Access. The Post Office is a very secure, monopoly type business and the working conditions are pleasant. 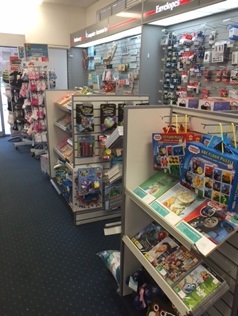 Product lines sold at the Post Office include gift lines, greeting cards and postcards. 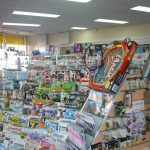 The Business: Open Monday to Friday 9:00am to 5:00pm and is equipped with one good size counter containing 2 Australia Post Epos machines, 2 Hand Held Scanner, 1 Electronic Scale and 2 Electric till Drawers. Currently there are 398 private post boxes installed with 70 vacant. There is ample room to install additional private boxes. The Post Office can be opened Saturday mornings which would increase income significantly. 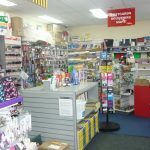 Services Provided: This Licensed Post Office provides most of Australia Post services such as Pay at Post bill paying, banking, money orders, gift lines, stationery, prepaid phones. Western Union money transfer, etc. The income is very consistent and increasing annually. Opportunities: Introduce additional products, offer pass port photo service, and apply to Australia Post for new passport service. Working with children, promote100 point ID – checks and photos. does not have a commercial laminating machine or a key cutting machine; therefore, there may be the opportunity to install these items. Open Saturday mornings and extend trading hours. The Location & Supporting Benefits: Sheffield is a town 23 km inland from Devonport on the north-west coast of Tasmania. It is 184 km NW of Hobart and 66 km W of Launceston. Sheffield has become a major tourist attraction due to it being promoted as a “Town of Murals”. The first town mural was painted in 1986, and since then over 60 murals depicting the areas rich history and beautiful natural scenery have been painted on walls throughout the town and buildings along the roadside. The murals attract an estimated 200,000 people to the town annually. Sheffield was one of the many early townships settled in 1859. It has long been the rural hub for the Mount Roland area. The Sheffield area is well-known for its high-quality butterfat production via dairy farming. The area is suitable for lamb and beef production. The town of Railton is nearby. At the 2016 census Sheffield had a population of 1,552. Sheffield has Galleries, Antique & Collectible Stores, Cafes & Coffee Shops, Commonwealth Bank, Bendigo Bank, Newsagent and Clothing Store. Penguin is a delightful seaside town on the north-west coast of Tasmania. The Shop: The shop is very spacious, bright and clean, with one good size counter. Wheelchair Access. The Post Office is a very secure, monopoly type business and the working conditions are pleasant. Product lines sold at the Post Office include gift lines, greeting cards & postcards. The Business: Open Monday to Friday 9:00am to 5:00pm and Saturday morning 9:00am to 12:00pm. Equipped with one good size counter containing 2 Australia Post Epos machines, 2 Hand Held Scanners and 2 Electronic Scales. Currently there are 468 private post boxes installed with only 28 vacant. There is ample room to install additional private boxes. Services Provided: This Licensed Post Office provides most of Australia Post services such as Pay at Post bill paying, banking, money orders, gift lines, stationery, prepaid phones, Western Union money transfer, etc. The income is very consistent and increasing annually. Opportunities: Introduce additional products, offer passport photo service, and apply to Australia Post for new passport service, Working With Children, promote100 point ID–checks and photos. The Post Office does not have a commercial laminating machine or a key cutting machine; therefore, there may be the opportunity to install these items. The Location & Supporting Benefits: Penguin is a delightful seaside town on the north-west coast of Tasmania and has long had the reputation of being one of the prettiest. It is on the Bass Highway, 131 km north-west of Launceston via Deloraine, 17 km east of Burnie and 32 km west of Devonport. At the 2016 census, Penguin had a population of 3,849. There are scenic walking trails, great coastal drives and on Sundays Penguin hosts Tasmania’s largest undercover market with more than 200 stalls selling food and second-hand goods. There are Supermarkets, Cafes, Newsagent, Chemist, Doctors Surgeries, Service Station, Hotel, etc. The Penguin district has two public schools; a kindergarten to year 10 school – Penguin District School and Riana Primary School. Penguin also has a Seventh-day Adventist school. Between September and March, the penguins appear and nest in the area. 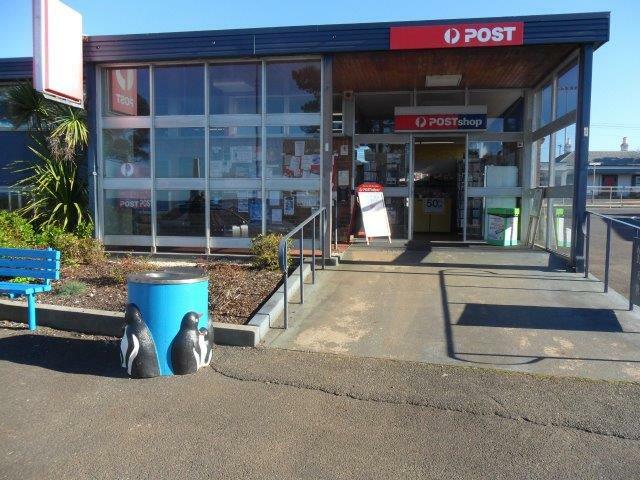 Penguin is home to the ‘Big Penguin’, made of Ferro cement it is located in the town’s centre opposite the Post Office, and is the town’s most photographed icon. Unveiled in 1975, it was erected to commemorate the centenary of the naming of the town.